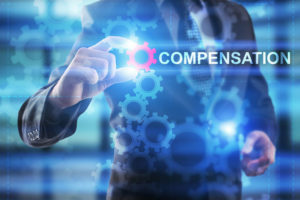 Learn how workers’ compensation protects your employees. When it comes to your business practices, keeping your employees safe is a top priority. You need to ensure that you’ve taken all the necessary precautions to keep your workplace as safe as can be. However, despite all the policy and procedure, sometimes accidents happen. That’s where workers’ compensation insurance comes in. Workers’ compensation helps to give you and your employees the resources that you need to handle a workplace injury. Check out what you need to know about what coverage workers’ compensation gives you. After an injury, your employees often need medical attention. Workers’ compensation insurance often gives your business the coverage that you need to pay for the medical care. From immediate medical expenses to rehabilitation, your insurance gives you the resources that you need to help your employees get better. When your employee is injured, they’re unable to work. When they’re unable to work, they’re unable to earn an income. Workers’ compensation insurance helps to supplement living expenses by giving injured employees at least a portion of their lost wages. When an injury occurs, the question of liability arises. If your employee sues your business, workers’ compensation helps to cover the legal costs of the lawsuit. That way your business is well-protected. While workers’ compensation policies generally provide similar coverage, the details of each policy may differ. Ensure that you’re well-informed by reading through your specific policy. That way you can rest easy knowing what sort of coverage you have. Workers’ compensation is a must when it comes to protecting your business. Ensure that you invest in the right commercial insurance for your business. Contact the professionals at Robert J. Los Insurance Agency to find you the right insurance plan. Located in Hamburg, New York, we serve all your personal and commercial insurance needs.